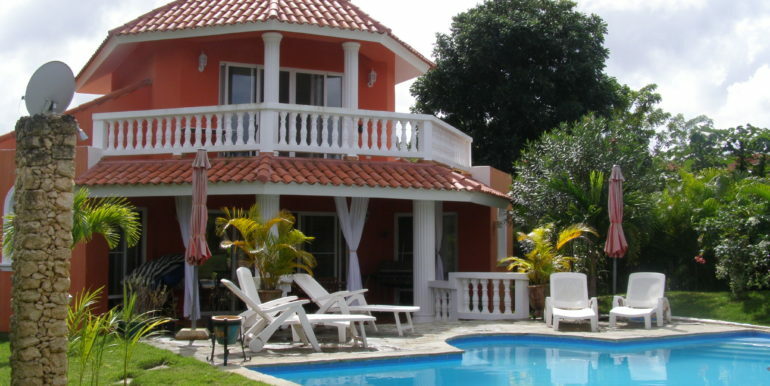 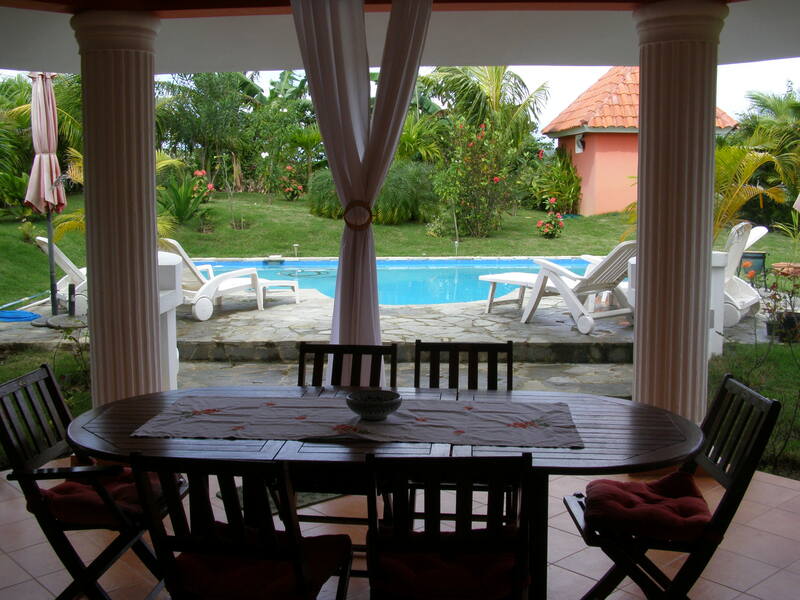 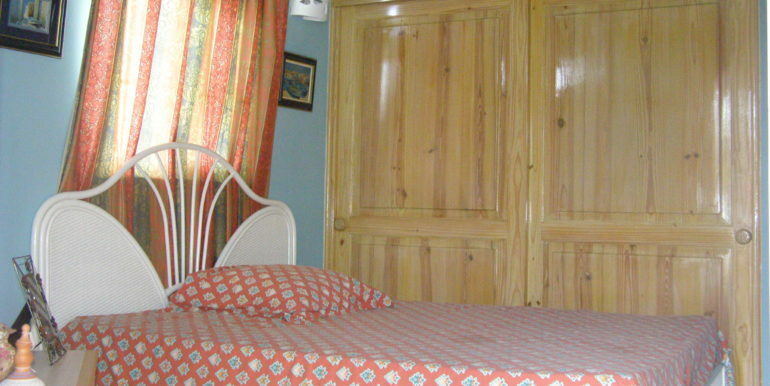 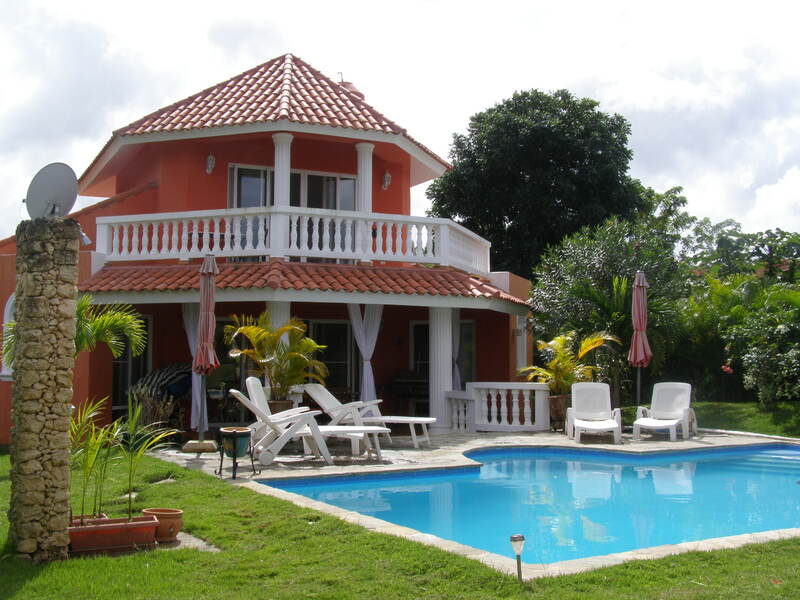 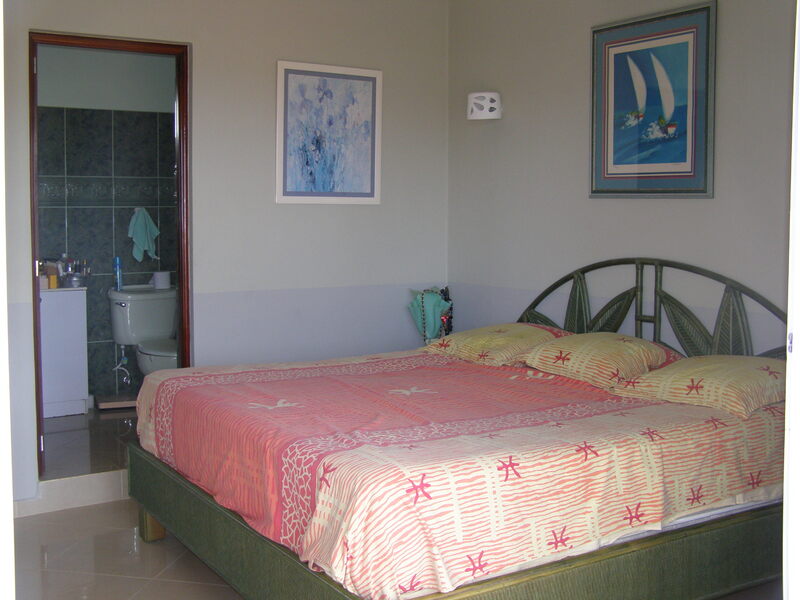 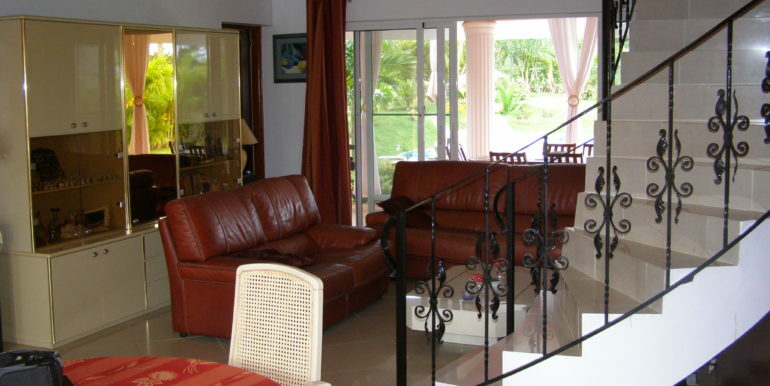 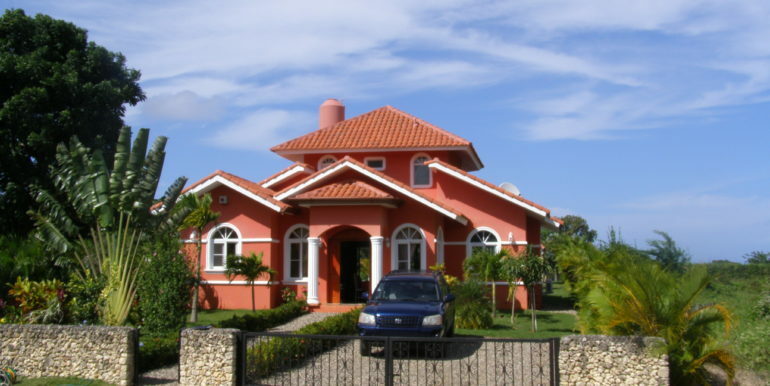 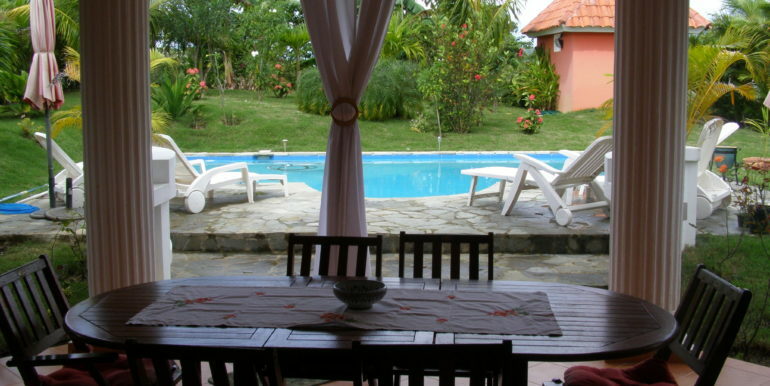 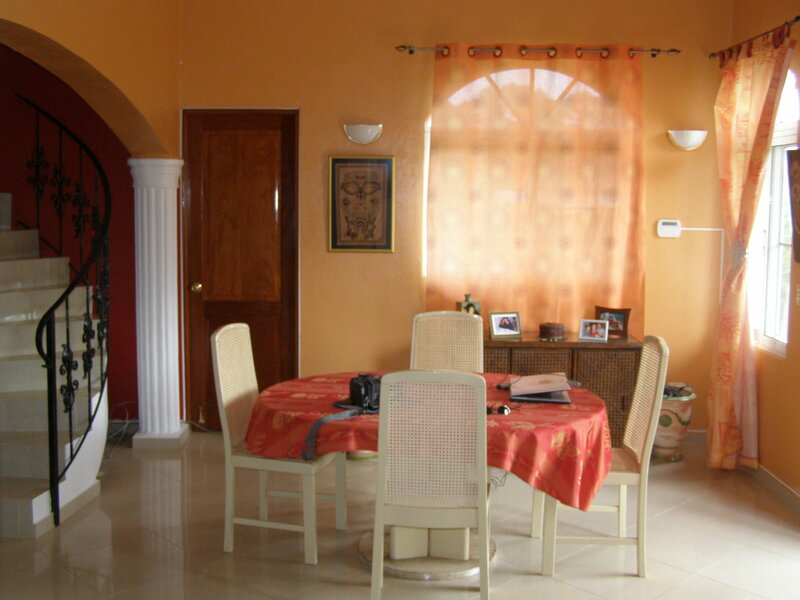 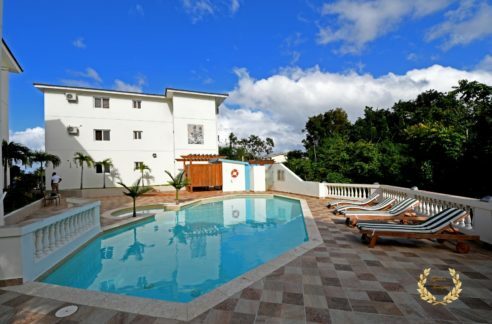 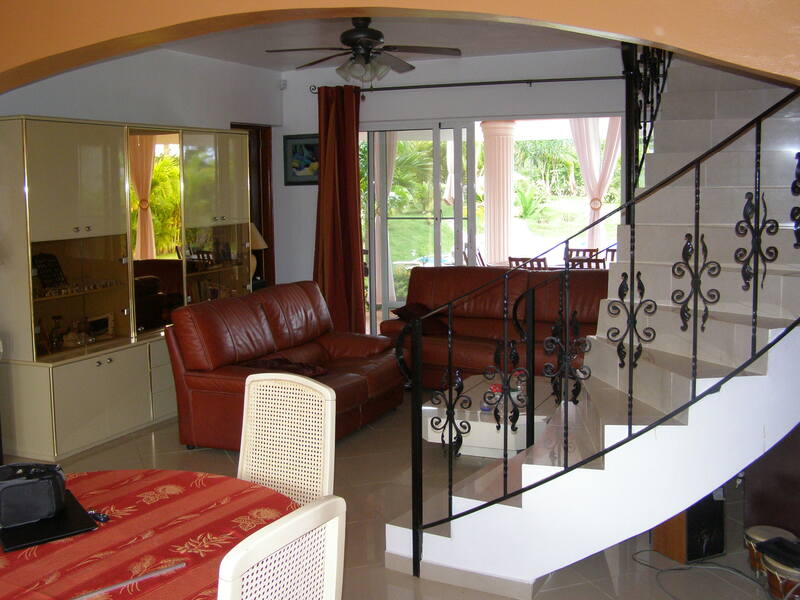 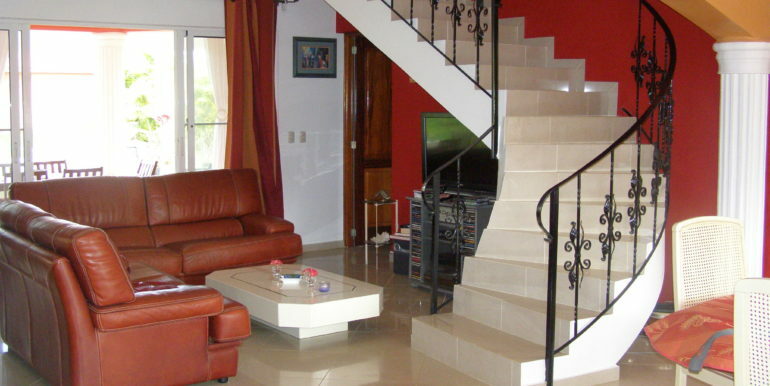 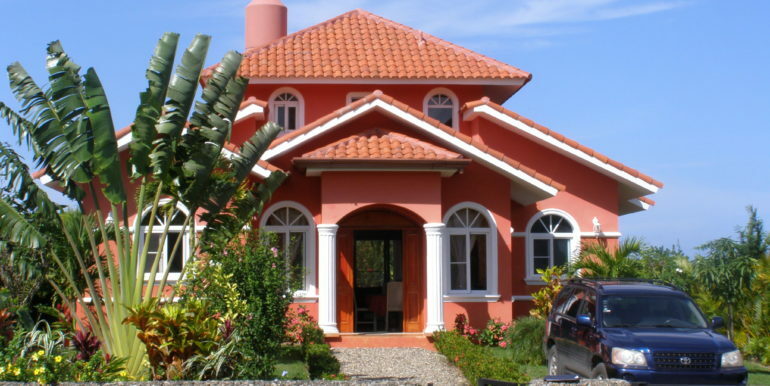 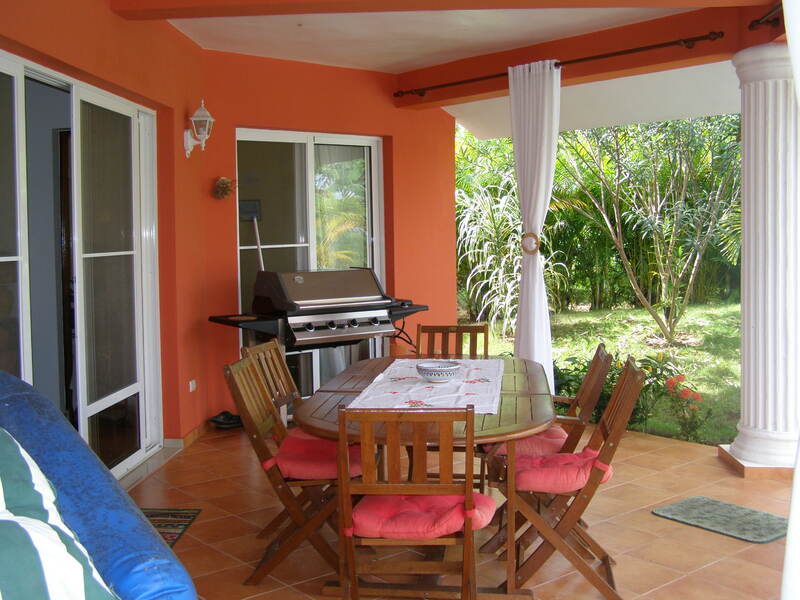 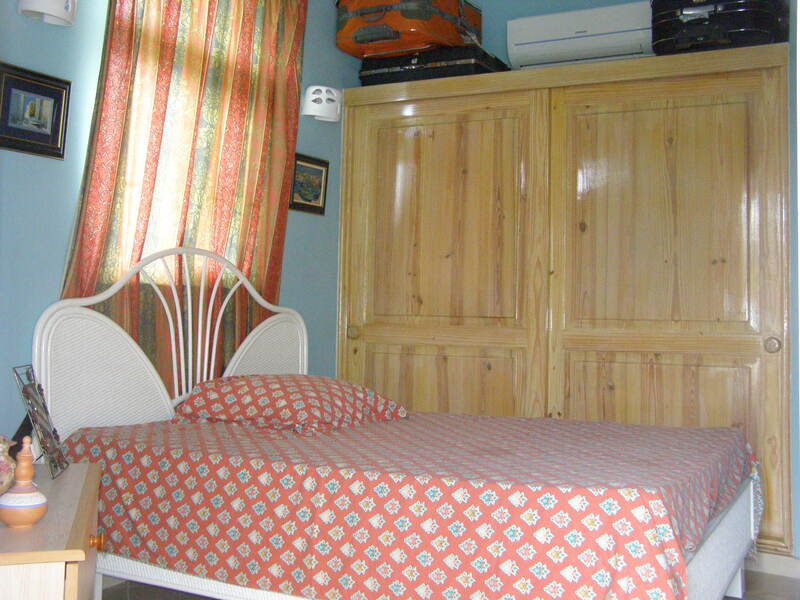 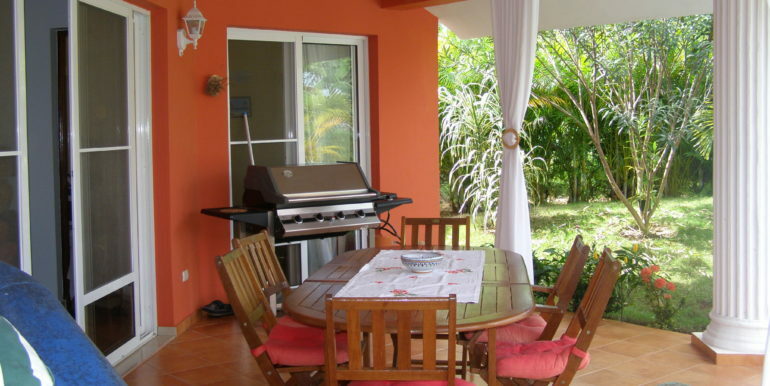 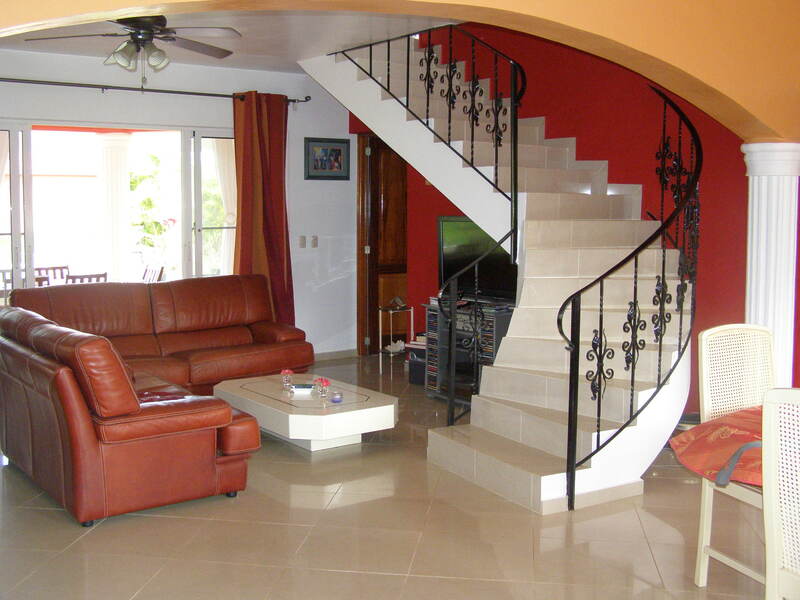 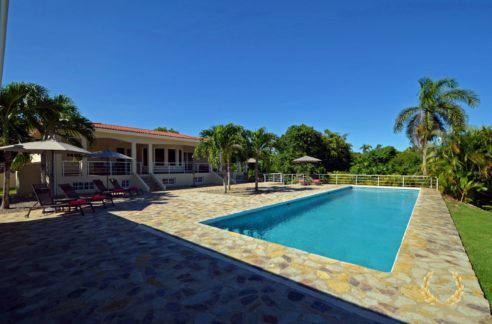 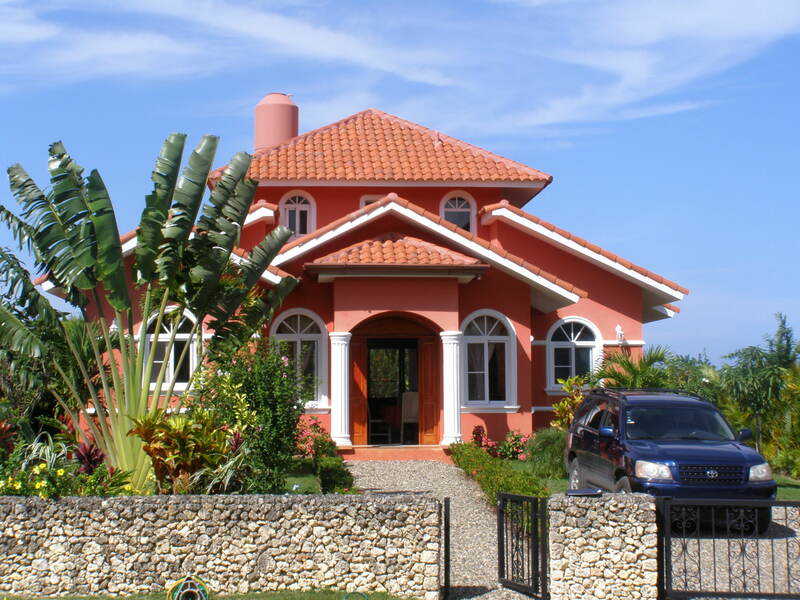 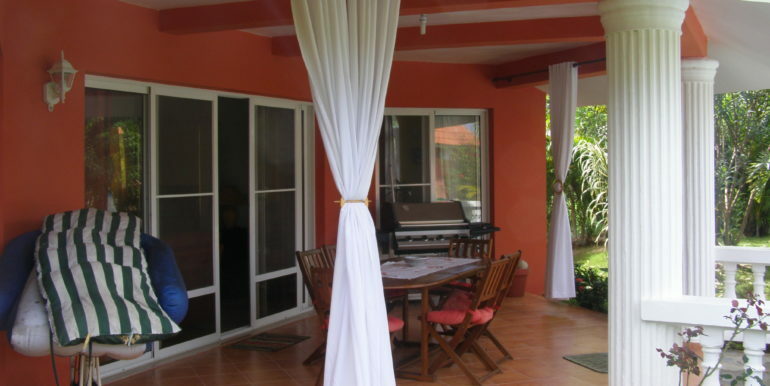 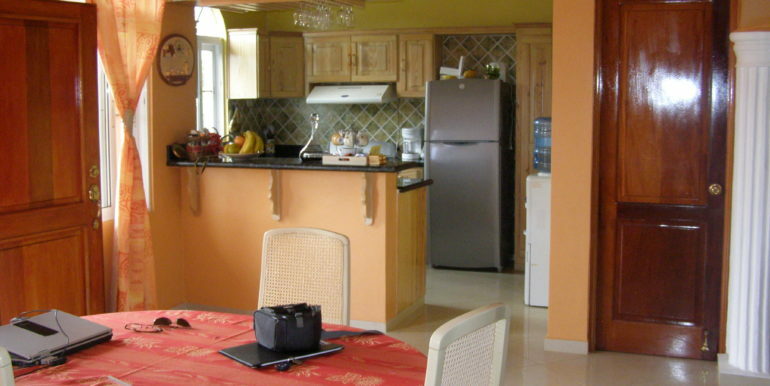 Beautiful house for sale in Sosua, Dominican Republic featuring 3 well appointed bedrooms, 2.5 bathrooms, swimming pool, covered terrace and laundry area. 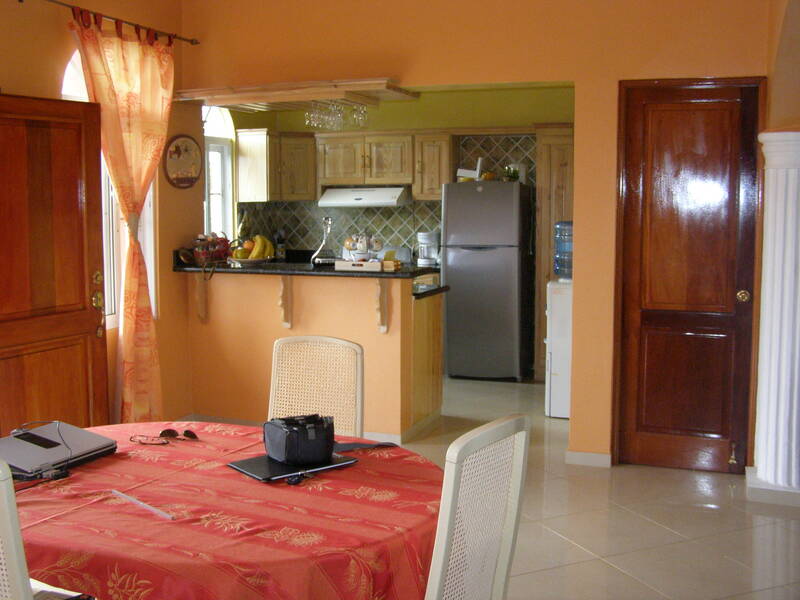 This home has strong construction that can be seen upon entering the house, the living room area is spacious and has the kitchen to the left, built with black granite tops and great matching colors with the complete decor of the home. 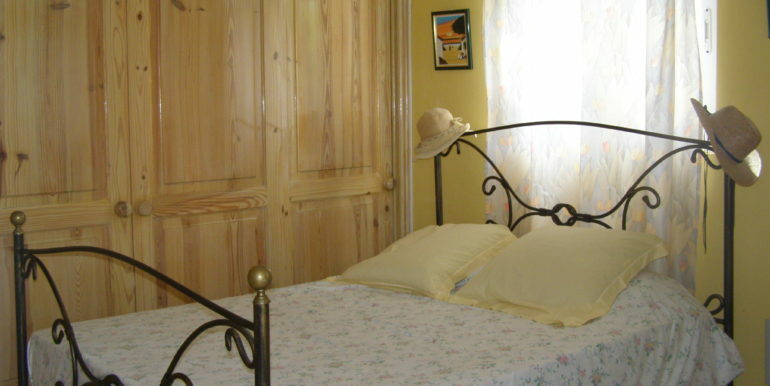 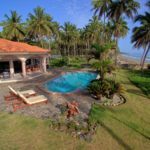 The first floor has a guest bedroom with ensuite bathroom, and two more bedrooms including the master suite in the upper floor which is accessed through a majestic staircase. 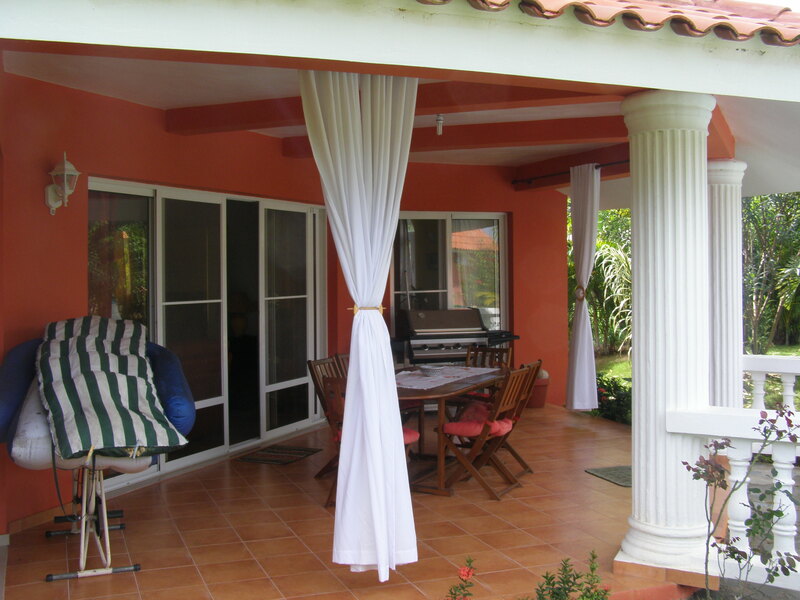 The master suite balcony has views of the ocean and an extra space for a solarium to the right. 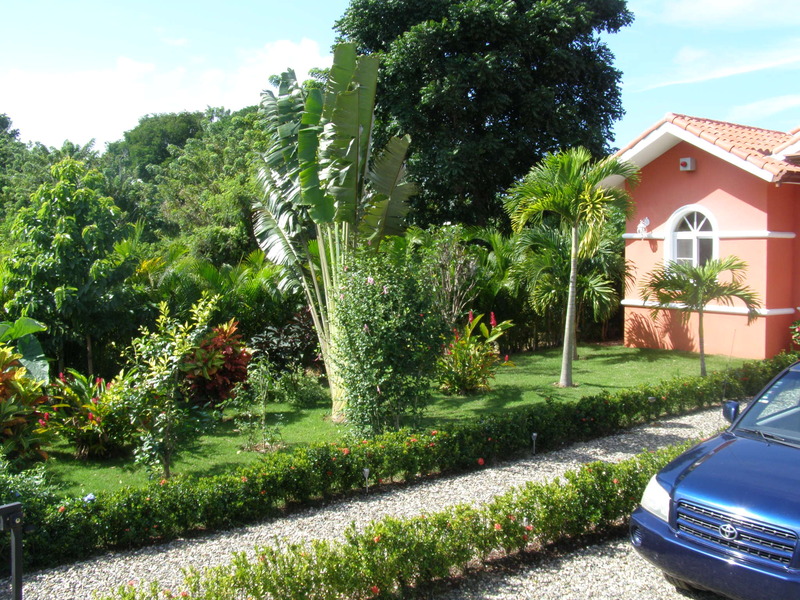 The house has a front parking area and gardens, with a low rise stone wall. 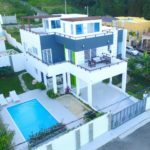 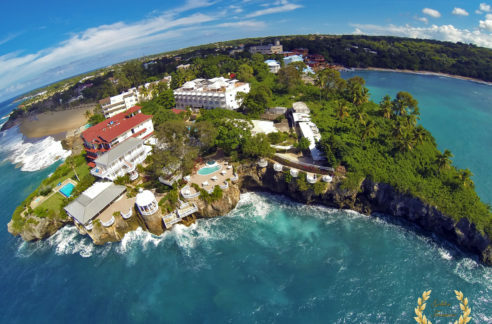 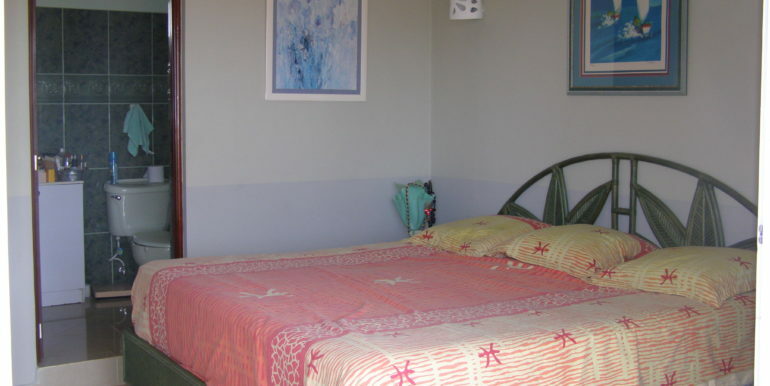 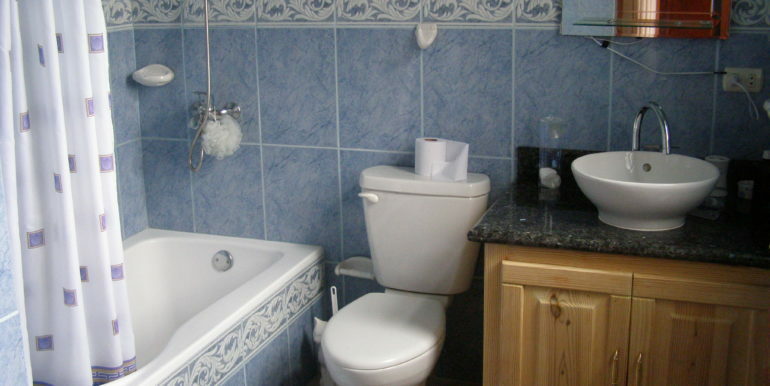 This house has many extras such as power generator, electric backup inverter, alarm system, air conditioning, cable TV, satellite TV, and Internet. 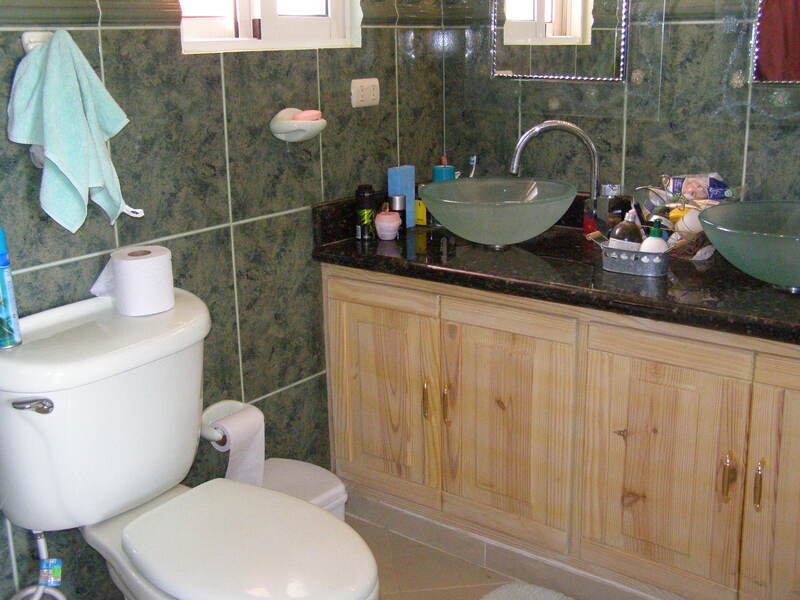 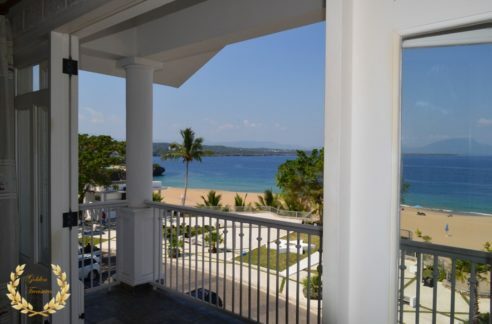 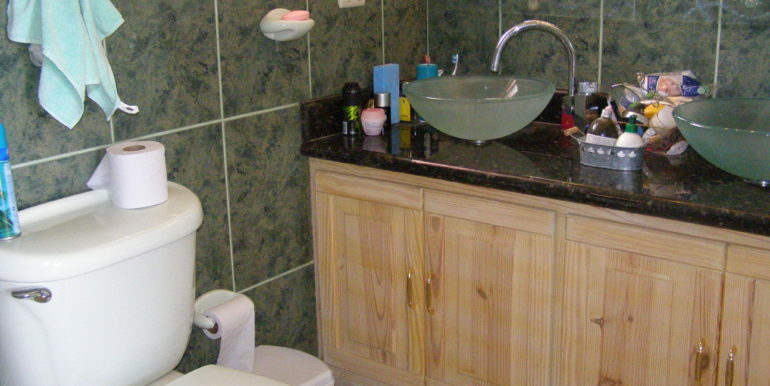 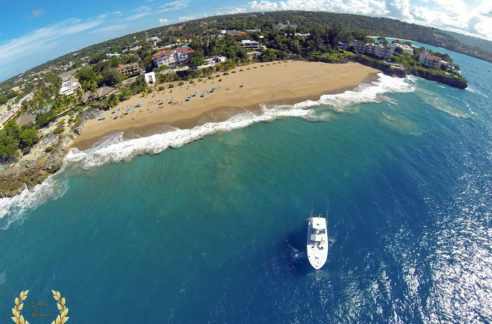 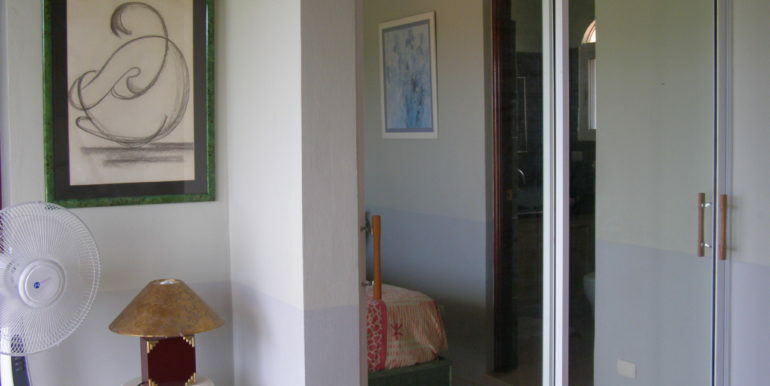 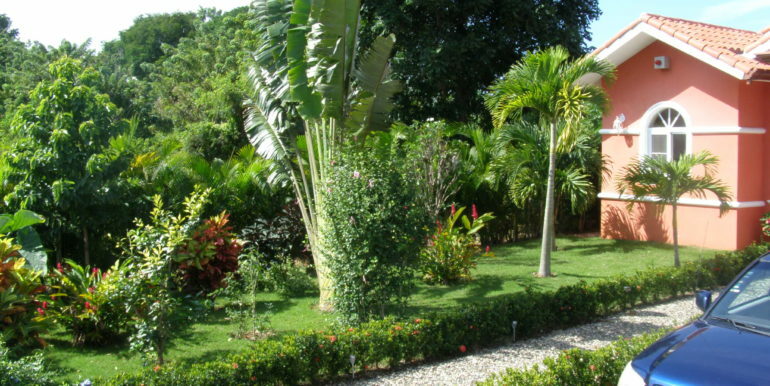 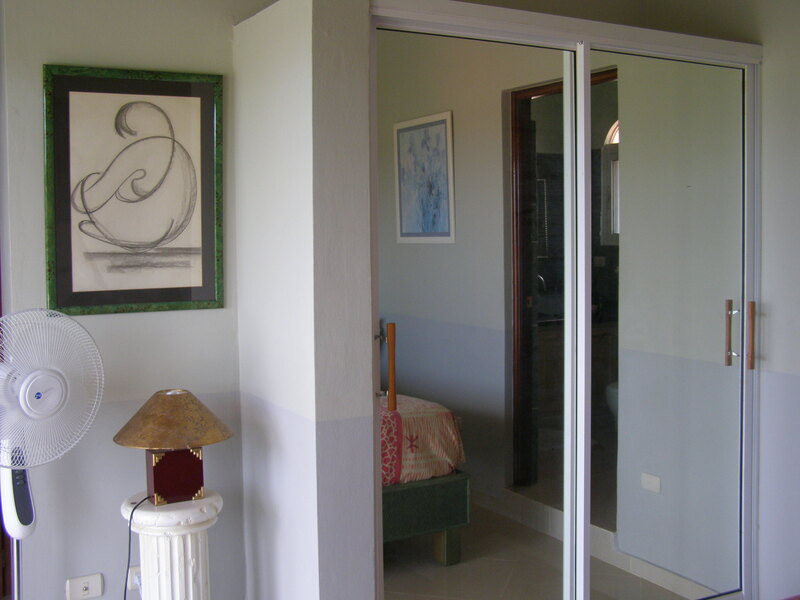 Set in a gated community 5 minutes away from the main shopping centers and Sosua beach, this house is a gorgeous property to own in the Caribbean. 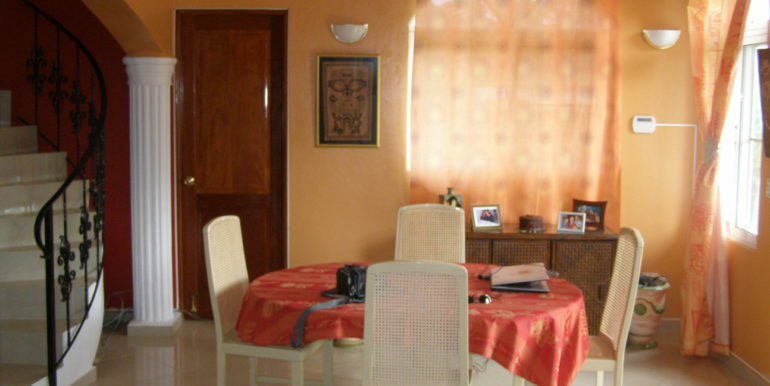 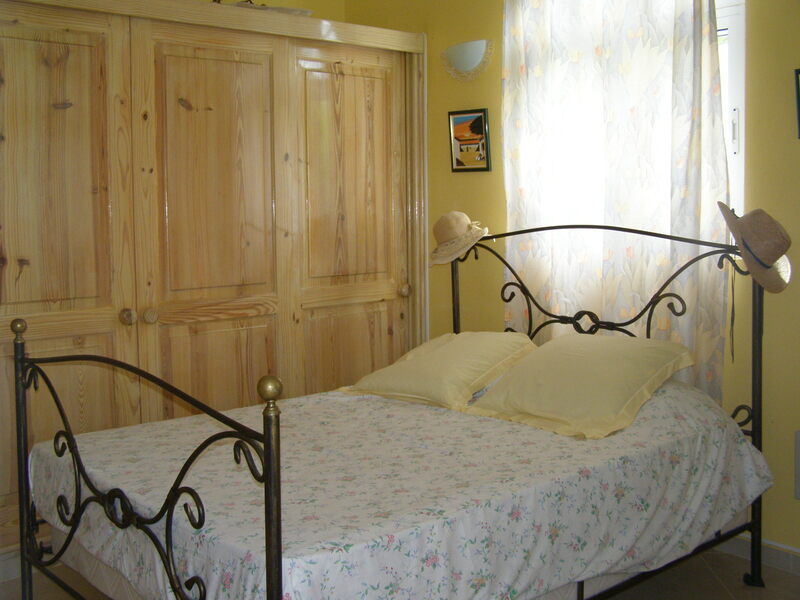 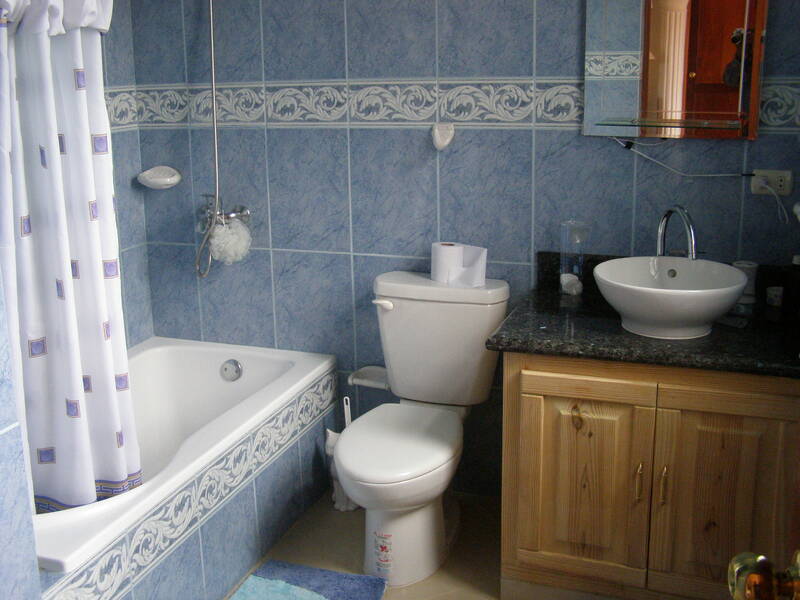 Can be purchased with or without the furniture seen in the photos. 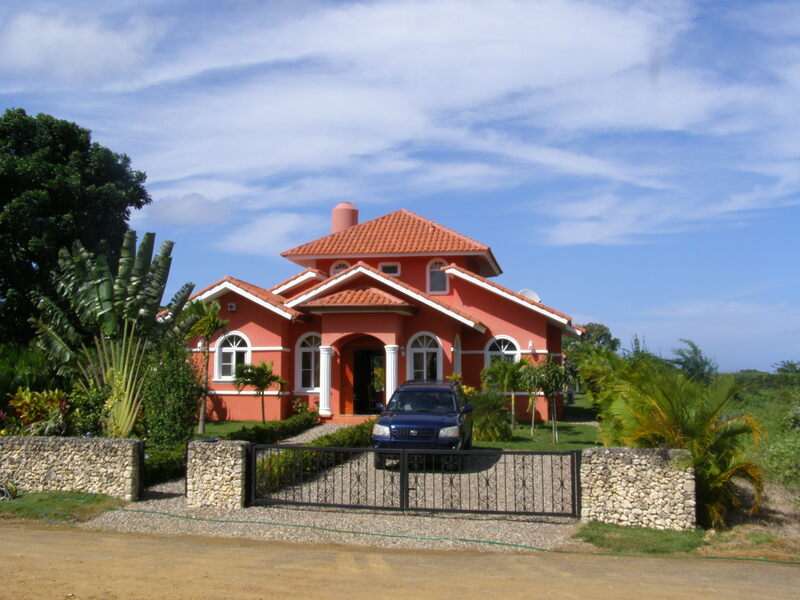 The land size is 775m²= 8342.030ft² and the covered area is 199m²= 2142.018ft².